The Guerilla Girls are an anonymous activist group who refer to themselves as “the conscience of the art world” and whose stated goal is to combat racism and sexism. Through posters, magazine ads, exhibitions, and panels, they have educated and agitated the art world with statistics on the under-representation of women and minorities in galleries, museums, and the press. 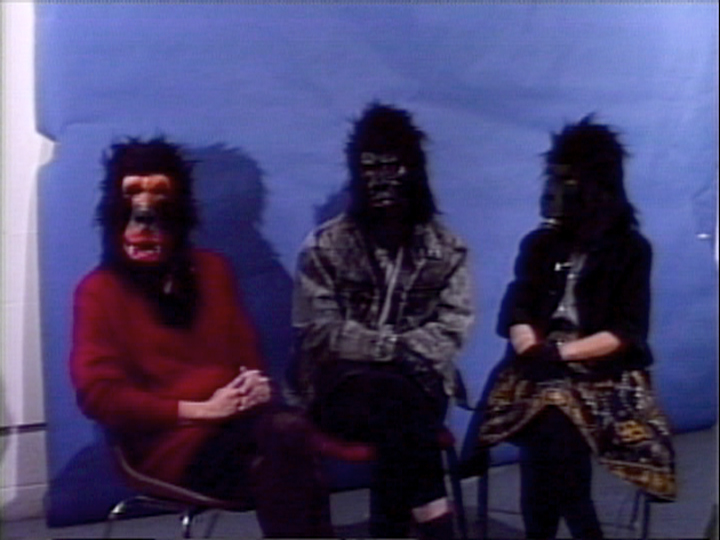 This interview is conducted with three Guerrilla Girls, who appear adorned in their trademark gorilla masks to ensure their anonymity. A historical interview originally recorded in 1989 and re-edited in 2006.